Fly private to Daytona Beach and experience one of the Sunshine State’s premier party destinations. 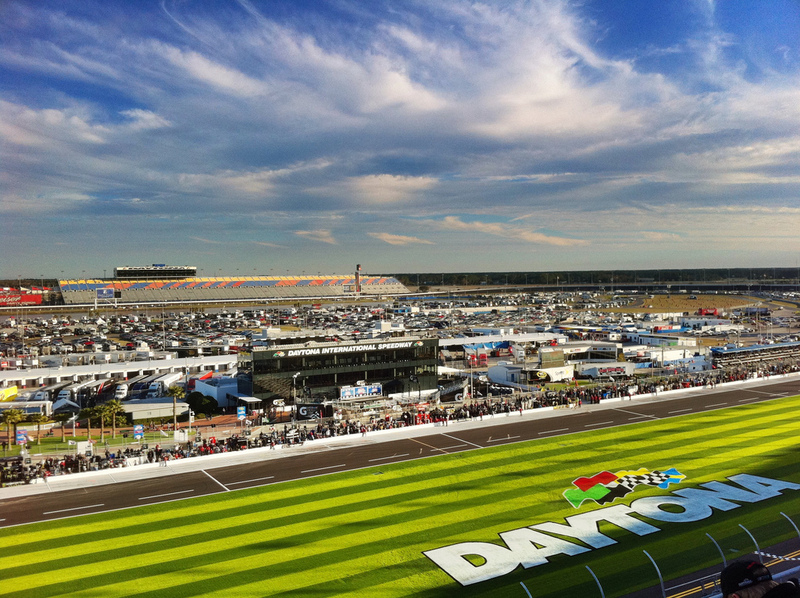 Whether you’re headed down to Daytona for spring break, the Daytona 500 or business within Volusia County, the best way to get there by chartering a private jet or turbo-prop to/from (KDAB, DAB) Daytona Beach International Airport. Air Charter Advisors was created to offer the most all-inclusive, efficient, and transparent air charter service, and we specialize in private fights to Daytona Beach, a popular destination for business and general aviation along the Atlantic coast. When booking your private charter flight with us, you’ll gain an experienced air charter broker ready to advise and arrange all the details for your flights. You’ll also receive our friendly, highly-customizable service at all hours – a true 24/7, no matter what time zone you’re in. Our South Florida-based jet charter company is Wyvern-certified, using some of the highest safety and due diligence standards in the industry. Although we’re located near Fort Lauderdale, we can arrange private flights to any destination around the world! The relationships we’ve built with operators in Florida and across the country allow us to connect you with the right aircraft at the right cost, whether you’re flying domestically or internationally. Many of the aircraft we use are based in Florida, while others are transient jets passing through the Orlando/Daytona area, potentially reducing your charter rate with an empty-leg flight. We’ve worked with C-level executives and government officials heading to Daytona Beach on business, as well as VIP celebrities, personal assistants and affluent travelers chartering a jet for luxurious vacations, spring breaks, yachting events, arts and cultural events and more. Enjoy the peace of mind you get from working with a jet charter broker you can trust, and let Air Charter Advisors be your local and global aviation solution for luxury air travel, aircraft acquisition and private jet management in Daytona Beach, Florida. From top to bottom, Florida is one of the busiest regions for general and private aviation in the United States, and Daytona Beach is home to several airports for arranging private jet charter service. The airports listed below are all located within 25 miles of Daytona Beach. For more information on additional local airports, check out our airports section at the bottom. NASCAR’s biggest race kicks off the seasons every February in the birthplace of stock car racing. Already a popular business jet route, private aviation soars during the month of February as fans and teams descend upon Daytona International Speedway. 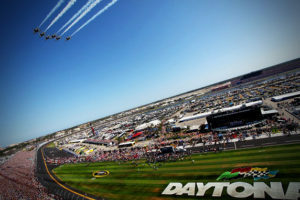 Learn more about arranging a private flight to the Daytona 500 with ACA on-demand jet charter service to/from (DAB) Daytona Beach International Airport. Charter a business jet to Volusia County and surrounding areas of Florida’s Atlantic Coast with our on-demand executive air charter service. 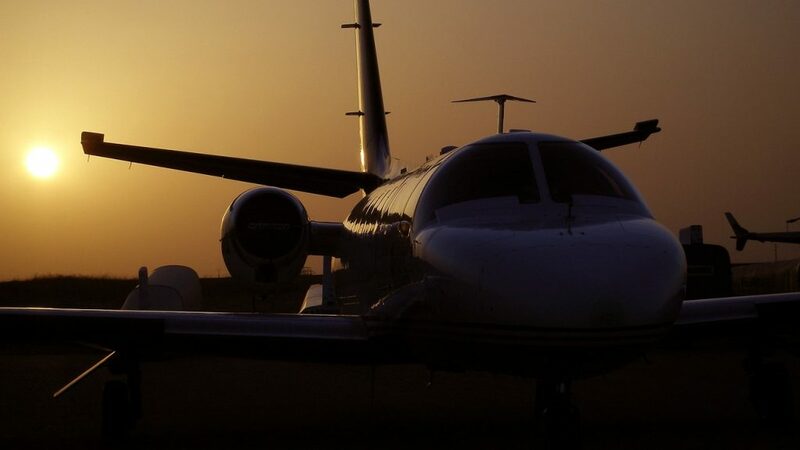 Florida is home to one of the largest private aviation markets in the world, and the route between (DAB) Daytona Beach International and (TEB) Teterboro Airport consistently ranks as one of the most popular routes in business aviation. Based in Florida, our team at Air Charter Advisors is your comprehensive source for executive jet charter service to/from Daytona Beach. Our company offers the highest standards executive jet charter service, providing a wide range of executive concierge services to complement your flight. We can arrange the right aircraft for you and your executive team, including essential amenities to help you conduct business, such as Wi-Fi, spacious cabins and gourmet in-flight catering. We have access to thousands of private aircraft located across the country and around the world ready for your charter flight. Each and every aircraft we arrange are operated by FAR Part 135 or 121 (or foreign equivalent) air carriers, and we only use veteran pilots with a wealth of experience. No matter what business ventures bring you to Florida, our friendly private aviation team will be available to you 24 hours a day, 7 days a week to to arrange executive jet charter service to Daytona Beach, Florida. Air Charter Advisors is the premier source for private aviation services in Volusia County and the rest of Florida! People visit the state of Florida from around the world to enjoy it’s warm sunshine, tropical beaches, luxurious beach resorts and outlandish nightlife; arts, culinary and music festivals, cultural and sporting events, and a variety of conventions and shows add even more to its allure. Daytona Beach is located just north of Florida’s “Space Coast”, the region along the Atlantic home to NASA’s Kennedy Space Center in Cape Canaveral. It’s about equal distance from NASA as it is from Orlando, allowing for a quick trio over to some of Florida’s best theme parks and attractions. Directly west towards the center of the state is the Ocala National Forest, a massive wooded area home to several trails, and more than 600 lakes, rivers and springs. 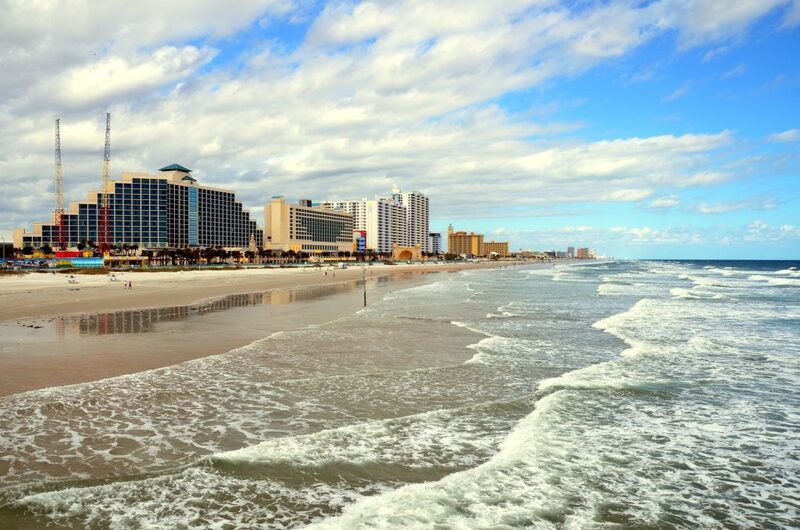 Daytona Beach and Volusia County have a lot to offer executive and leisure travelers, so we’ve put together a list of some of the top attractions, hotels and events to go along with your private air charter service to Daytona Beach, Florida. Flying private to Daytona can put you right in the thick of one of America’s most thriving festival and party scenes. The city is home to several major events, but most events deal in the same industries. For NASCAR enthusiasts, the Daytona 500, the Coke Zero 400, Speedweeks, and the Rolex 24 hour sports car race are the biggest events in their respective categories. Add in Bike Week, Biketoberfest, Turkey Run, and Spring Break, and you have a calendar year jam packed where 2 months never go by without a world class event blowing the town up. Among these events are ton of gourmet restaurants, friendly dive bars, and mom n’ pop knick-knack shops to keep you busy every day, not just during a festival. If you’re going to Bike Week, then you should know that there are a bunch of events that make the week really special. From world-famous bands to bike industry sponsored demo rides, you won’t want to miss a second. Spring Break is the city’s other break out event, pulling in thousands of thirsty college students looking to unwind from a year of studying. Concerts and bonfires where the waves meet the sand attract young adults and turn the week into an exciting time for the whole town. Sailing, yachting, surfing and watersports of all kind are also popular here. Cocoa Beach is a world-famous surf spot, home to six-time World Champion surfer Kelly Slater, along with the headquarters for Ron Jon Surf Shop. 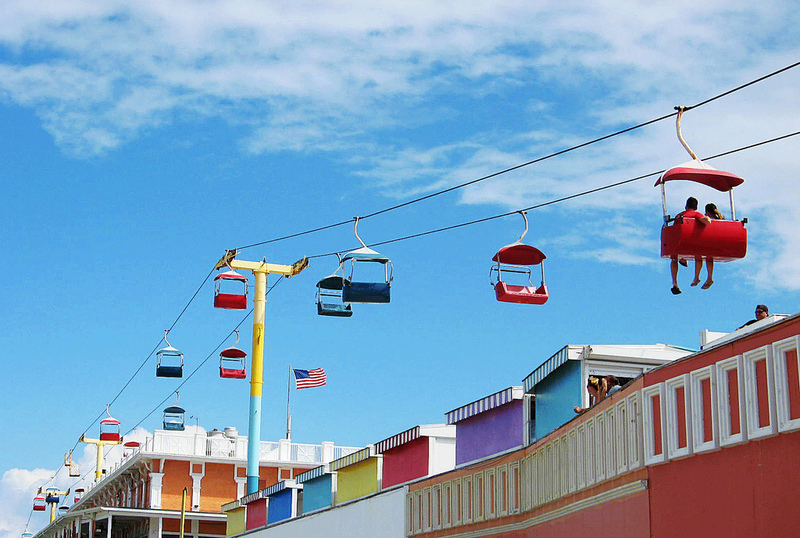 Cocoa Beach and the Canaveral Pier are host to a number of local contests, including the Easter Surf Festival. It’s also a hot-spot for sport fishing, where the waters of the Atlantic are full of kingfish, mahi mahi, tarpon and more. Several private charter companies around Daytona offer both part and full day fishing trips, and our agents would be happy to arrange a charter boat for your trip! Daytona Beach and its lush, tropical setting and beautiful year-round weather is one of Florida’s fastest growing golf destinations. In fact, Golf Digest ranked Daytona Beach as one of their top 15 places to play in the United States. Our private jet charter services are tailor made for you and your group to tee it up from coast to coast, traveling to the best golf destinations in the country, including Daytona Beach. Executives travelers can also opt to pack their golf clubs on-board and enjoy an incredible round of golf in between (or during) meetings. 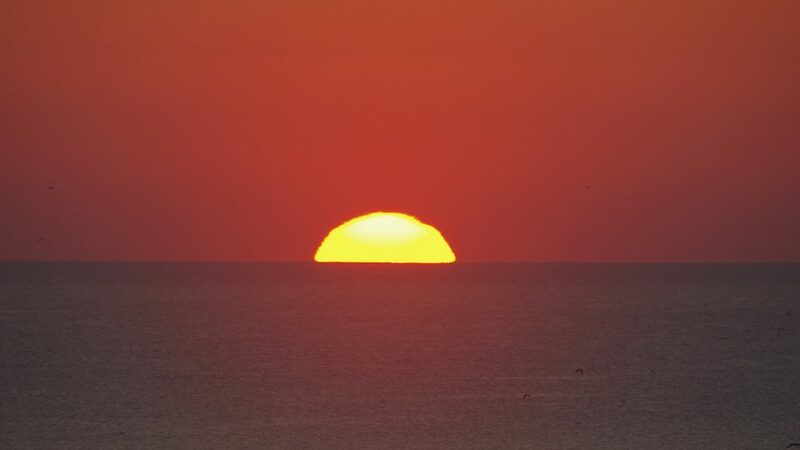 Daytona Beach is home to the LPGA International, one of the premier Women’s golf courses in the state of Florida. The course is owned by the city and operated under agreement with the LPGA. The club offers two 18-h ole championship courses, Jones and Hills, named after the architects who designed them. Daytona Beach is home to a variety of five-star hotels and beach resorts, and no matter what brings you to Florida, you’ll find the perfect luxury accommodation to match your private charter flight. It’s been inhabited by Native Americans, Spaniards, the French, and finally the United States. Under the current regime it’s hosted some of the worlds craziest spring break events, attracted droves of enthusiastic NASCAR fans and rowdy motorcyclists every year, and is known the world over as the “Fun Coast’s” focal point. With all of these visitors, it’s no wonder that the area is full of hotels and resorts. Take the Hammock Resort for example; voted the #1 resort in Florida in 2014, it’s a prime example of what to expect in this popular coastal destination. 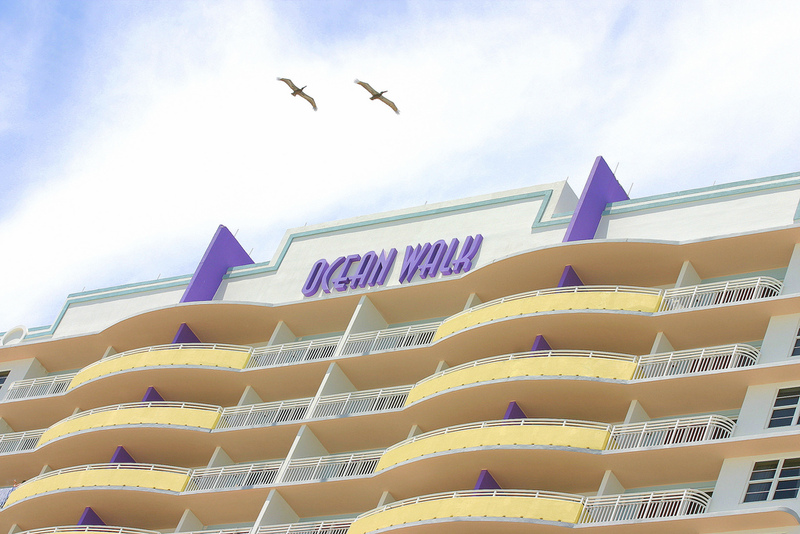 To help make your choice as smooth as possible, our team at Air Charter Advisors has put together a list of the best places to stay throughout Daytona Beach. Florida is synonymous with luxury yachts, boating conventions, dockside bars and a strong nautical culture. 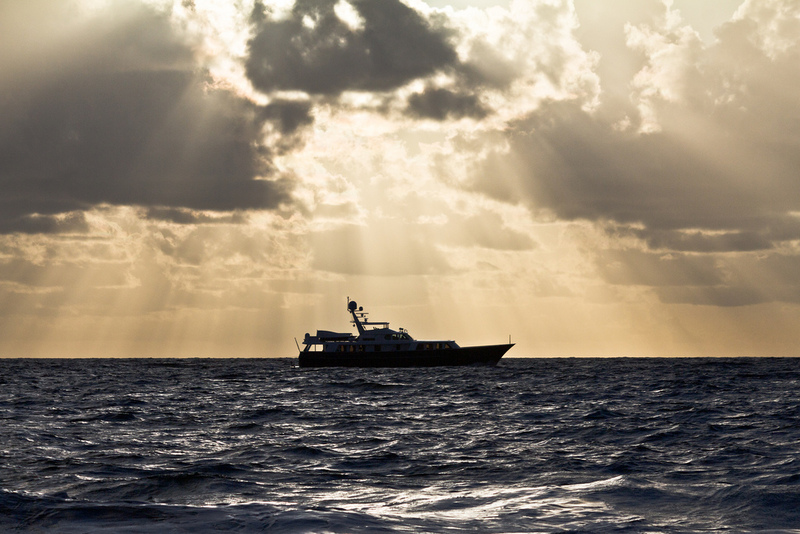 If you’re interested in adding a private yacht charter to your trip, let one of our brokers know! ACA has made connections with yacht operators and marinas throughout Florida, allowing us to include a luxury yacht, sailboat or catamaran charter directly to your itinerary. Cruise the intracoastal waterways in a luxury yacht and dock at an upscale marina, or set sail for the Atlantic and enjoy some fun in the sun, exciting sports fishing or just plain rest and relaxation. Talk to one of our brokers about adding a luxury yacht charter while visiting Daytona Beach, and check out our list of our favorite local yacht clubs and marinas. Daytona Beach is a popular destination for private/business aviation, and ACA can arrange your charter flight on any of the following Wyvern-certified aircraft. All of the planes we arrange are operated by FAR Part 135 or 121 (or foreign equivalent) air carriers, many of which are based at Volusia County airports. After you request a quote and provide your trip details to us, we’ll offer a variety of options based on the goals and budget of your flight, whether you’re seeking a cost-effective option, or the most lavish, stylish jet on the market. Check out our Aircraft Gallery for more details on all of the aircraft available for your trip. The following are examples of hourly rates for private jet, turbo-prop and helicopter rentals in Daytona Beach, Florida. Due to the high-volume of flights along Florida’s Atlantic Coast, many operators offer empty leg charter flights, which can greatly reduce the cost of your rental. Air Charter Advisors arranges private jet charter service to/from Daytona Beach, Florida using the airports below. Our brokers can arrange everything from one-way flights, multi-leg flights, and helicopter lifts. Charter a private flight to Daytona Beach International Airport (IATA: DAB, ICAO: KDAB, FAA LID: DAB), a county-owned airport located 3 miles southwest of Daytona Beach in Volusia County, Florida. Business jets frequent this airport as much as any other general aviation field in Florida, with 97 percent of nearly 300,000 aircraft movements at DAB serving general aviation. There also an abundance of private aircraft based at DAB. The airport is adjacent to the Daytona International Speedway, a fitting location given the history of both motorsports and aviation in the city. The airport is also home to the headquarters of Embry-Riddle Aeronautical University, one of the top aerospace programs in the nation. (DAB) Daytona Beach International features three runways suitable for accommodating private jets of any size. There’s also a terminal with six gates for domestic traffic, and a dedicated international terminal; Sheltair and Yelvington Jet Aviation operate the two FBOs located at the airport. Air Charter Advisors can arrange private jet charter service to the following airports located throughout South Florida. Speak to one of our charter brokers about all of the airport and aircraft options available to you arranging your private flight. Request a Quote or give us a call at 1-888-987-5387 to speak with one of our Daytona Beach Jet Charter Service brokers for your next luxury vacation, business trip, or special event.